Effective, May 1, 2018, Arlington Industries has partnered with Gilpez Office Products and is transitioning the day-to-day business operations from Gilpez Office Products to Arlington Industries. As a loyal customer of Gilpez Office Products, we wish to continue providing the service and support you have counted on from Gilpez. Arlington has a distribution center and sales office in Compton, CA and look forward to trying our best to meet the expectations of Gilpez Office Products valued resellers. 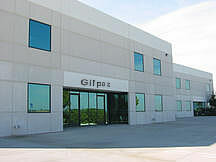 Gilpez Office Products was owned and operated by Gil & Esther Perez, and their daughter Marielena Perez-Erickson. They were a family owned company that prided itself on providing the best personal service possible to office machine dealers and office supply stores. Gilpez Office Products did not sell to end users or club and were in business solely to serve dealers! Arlington Industries is also privately-owned business that has been serving dealers for the past 45 years and has maintained a close relationship with the Perez business for many decades. Gilpez was a distributor of products for: Brother International, Canon USA, Nakajima, Olympia, Smith Corona, Max, DataProducts, GRC, etc. In addition to the OEM products, we also carry a full line of generic ribbons and compatible products which include laser toners, ink jet cartridges and remanufactured toner cartridges. You will now have access to all these products and more as an Arlington Industries reseller. Arlington Industries is your next day source for office machines and supplies in the West Coast with pick-up and shipments from our Los Angeles distribution center. We also have five additional distribution centers across the United States if you have opportunities in other regions. Like Gilpez, we are committed to helping dealers be successful in the office industry through personal service, product knowledge and a wide inventory of products. If you have any questions regarding the transition of the Gilpez Office Products business to Arlington Industries, please don’t hesitate to contact us at (800) 887-3040. While we know we can’t replace the experience you’ve shared with Gilpez over the years we hope you give us the opportunity to support your office product and supply product needs.